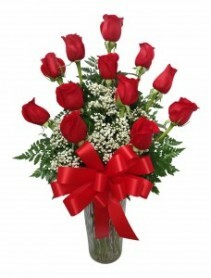 RE: ORDERS FOR FEBRUARY 13th or 14th --THERE IS NO GUARANTEE OF MORNING DELIVERY ON EITHER DAY. All deliveries to schools are guaranteed before 3 pm, all business addresses before 5 pm. Please note: SISD does not allow deliveries to students. Designs found on other areas of our website may not be available due to flower availability. Due to large volume of deliveries on these days, we can not guarantee you a specfic time of delivery. Thank you for your understanding. 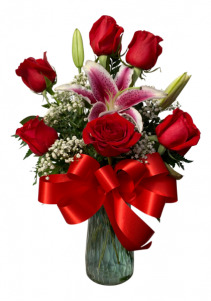 We value you, our customer, and will strive to get your delivery completed as early as possible on February 13 or 14. 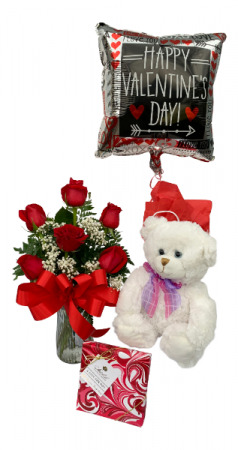 Sweetheart Spectacular Valentine Package A Classic Dozen Roses with a White Gift Bag that includes a box of scrumptious Abdallah Chocolates, a cuddly teddy bear and a Happy Valentine's Day Mylar Balloon.. All for only $120. 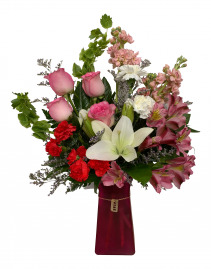 Majestic Love.... A fragrant arrangement of stargazer lilies and roses with popular gerbera daisies that will fill any room with a lovely aroma for days. 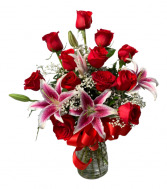 Make Her Day.... Red Roses, Stargazer Lilies and stock, accented with other gorgeous flowers -- a custom designed arrangement only available at Dietz Flower Shop and Tuxedo Rental. 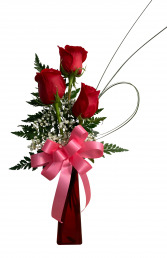 Forever in Love Dozen Rose Arrangement... Twelve beautiful long stem roses custom designed in a classic vase accented with soft white babies breath. These fresh beautiful flowers are available for same day delivery. 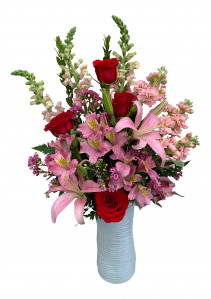 Forever Loved Dozen Roses Arrangement accented with fragrant Stargazer Lilies --- a definite WOW! 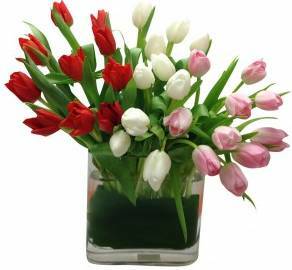 Tulip Duo Arrangement.... 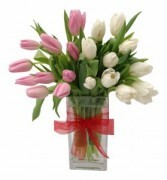 Send your love with 20 Assorted tulips in a classic rectangular vase. 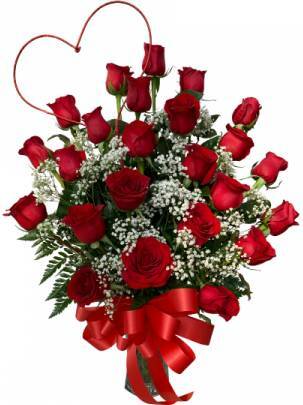 It is sure to be a cherished gift that conveys your love and appreciate her! Colors of tulips may vary. 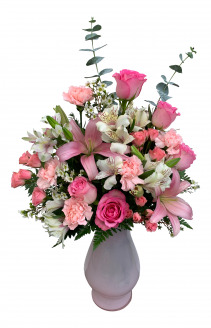 Surrounded by Love - Beautiful Pink Roses, white Asiatic lily, pink miniature carnations with a soft pink accent of alstroemeria lilies are designed in a red or lavender vase. Sweet Devotion Rose Arrangement - six beautiful long stem red roses accented with fragrant stargazer lilies. 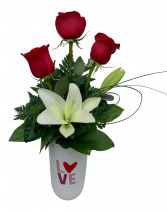 Love Always.... Classic simplicity-- a keepsake capsule with Red roses and white lily. Show your love with flowers now to enjoy and a ceramic to keep. This three rose heart vase is a perfect way to show your love! Simply select this option on the BUY NOW page (3rd line). This adorable teddy bear, box of delicious Abdallah Chocolates and a Happy Valentines Day mylar can be added to any arrangement or plant selection. Simply select this option on the BUY NOW page (3rd line).